If you’ve played Apex Legends, you might recognize this system. Apex Legends has respawn beacons, which let any teammate respawn downed teammates by bringing a player’s “banner” card to it. Fortnite’s reboot cards seem awfully similar to banners. From footage in the developer video, it looks like reboot cards even have a timer on them, similar to Apex. This isn’t the first time Fortnite has adopted some of Apex’s best features. Season 8 introduced a ping system that lets players communicate without voice chat, which is a popular system in Apex Legends. While it would be easy to be crass and suggest Fortnite is feeling the pressure of Apex stealing its thunder (and its player base), ping is, frankly, a good idea for a battle royale that makes it a little easier to communicate with your team. Apex’s respawn system is similarly positive, since it gives players a reason to work together and stay in a match. 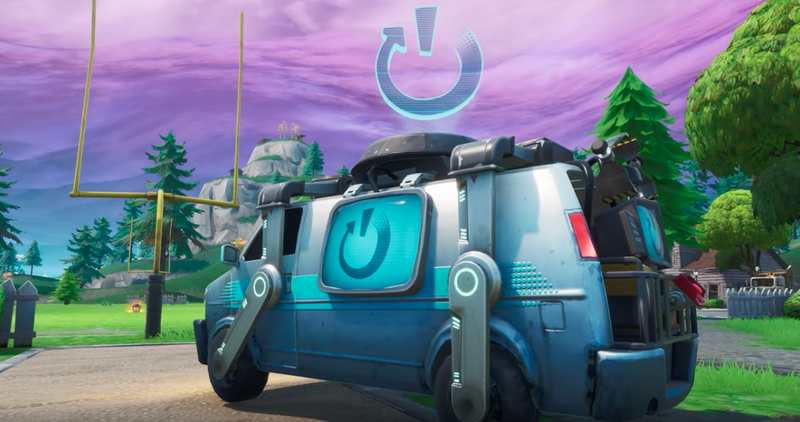 Having a full squad is more important in Apex, given its team-reliant nature, than in Fortnite, but reboot vans might add a little more team cohesion to the game and give downed players a second chance. We’ll see what the effect is next week.